Can I buy tickets to Pearl Harbor? When asking about tickets to Pearl Harbor, most visitors are interested in tickets for the Arizona Memorial program. That is the 25 minute film about the attack, the Navy shuttle boat ride to the Arizona Memorial, and time aboard the USS Arizona Memorial. These tickets are included in all of our Pearl Harbor Tours. However, tickets are not available for sale. Beware of anyone selling tickets to Pearl Harbor as it is most likely a scam, and certainly illegal. Nobody is authorized to sell tickets to Pearl Harbor. You may obtain walk-up tickets to Pearl Harbor by standing in line for the limited tickets reserved for walk up guests. Walk-up tickets can only be obtained on the same day as the tour. Each member of your party must be present to get a ticket. Please note: walk-up guests often report wait times of 7+ hours. Often, there are no walk-up tickets left for those who arrive after 7:00am. How do I get tickets to Pearl Harbor then? To ensure a great Pearl Harbor experience, choose a tour. Tours include scheduled tickets in advance. We are experts at coordinating the timing to make the most of your day. If you plan to go on your own, you can buy the Passport to Pearl Harbor. 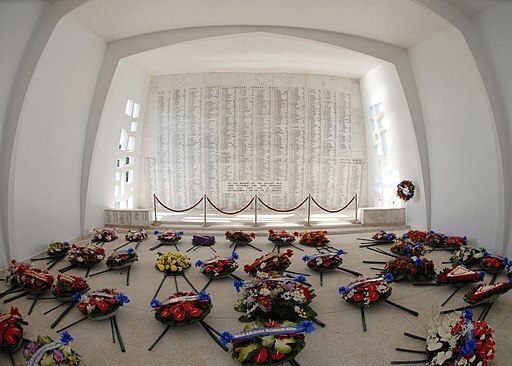 Please check out our Pearl Harbor Tours for the best way to see the USS Arizona Memorial. You may also purchase your Pearl Harbor Tickets and audio tours in advance if you are driving yourself. Cameras allowed at Pearl Harbor include video cameras. However, if you bring a camera that is larger than standard, security may need to inspect it. You will also be questioned about filming commercially, which is prohibited without a permit. 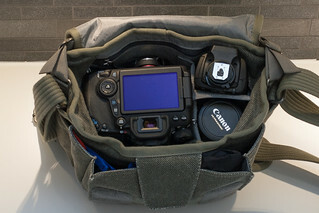 Keep in mind you can only take what you can fit in your pockets and a camera that you can carry in your hands. While cameras allowed at Pearl Harbor, camera bags are prohibited. So if you are into using different lenses, you will need to choose your favorite before heading to Pearl Harbor. Right now selfie sticks are still allowed, but that may change. We’ve seen plenty of people bump into each other with selfie sticks. If you use them, be careful. Take the Camera with you. Leave the bag at your hotel. The Pearl Harbor Visitor Center is very accessible for visitors with disabilities. There is reserved accessible parking in the front lot, which is a short distance from the entrance. The restrooms, movie theater, exhibit galleries, bookstore, information desk and drinking fountains, Navy shuttle boats, and all three rooms of the USS Arizona Memorial are all fully accessible to visitors in wheelchairs. The facilities are spread out and benches are located throughout the area to allow those challenged by walking an opportunity to rest. Please note: Pearl Harbor does not offer wheelchairs, except in emergencies. If you require a wheelchair, we suggest you arrange one from a third party rental company before your visit. For visitors with hearing impairments, the documentary shown in the theater is fully captioned (in English). There is an induction loop for use with hearing aids. Visually impaired visitors will find signage in braille in addition to tactile models of various interpretive resources throughout the site. Please click here for a braille-ready file (BRF), which is a digital copy of an embossed braille booklet transcribed from the park brochure. There are no doctors or nurses on-site. EMS is available and a hospital is nearby. If you have read the security measures, you are aware that no bags or items that offer concealment are allowed at Pearl Harbor. However, if you have a medical need, such as medicine that you need to bring in the park, notify the staff at the security checkpoint. In addition, please let your tour guide and a park ranger know if you have any special needs. The Arizona Memorial is wheelchair accessible and there is a ramp from the Navy shuttle boat to the memorial. The museum and park are completely wheelchair accessible. There are two wheelchair accessible restrooms on site. The historic submarine is not accessible. In fact, it can be difficult to explore for those with limited mobility. The stairs are quite steep and designed for young sailors. Guide dogs, hearing dogs and assistance dogs are welcome in areas of the Museum and Park. The Battleship Missouri is wheelchair accessible. The Battleship Missouri Memorial has wheelchairs available for visitors to checkout at the main entrance. There are two elevators to the battleship. Visitors in wheelchairs can explore the main deck and the surrender deck. Some parts of the historic ship are inaccessible to wheelchairs because they require steep ladders or high thresholds. Restrooms, Slider’s Grill and the Victory Store are all accessible to wheelchairs. For hearing impaired visitors, an AcoustiGuide script is available at no additional charge. Wheelchairs can access all parts of the Pacific Aviation Museum including the hangars, shop, restaurant, and restroom. Simply make a note when you get to the checkout. Tell us if you are bringing a wheelchair, if it is collapsible and you can step into the vehicle or if you require a lift. Tell us if you have a hearing or vision impairment. We do not have wheelchairs for rent, but there are many third party wheelchair rental services on Oahu. We can arrange ADA vehicles with a wheelchair lift. You will also find that our tour guides are very helpful with those who need extra assistance. You can put essentials into a small clear plastic bag to take with you. This is a bag that has been accepted by security. We highly recommend wearing clothing with pockets for your essentials. If you have a medical need, notify the staff at the security checkpoint. A storage facility operated by the USS Bowfin Submarine Museum & Park is available in the immediate area of the entrance to the Pearl Harbor Visitor Center. There is a nominal storage fee of $4 per bag. The storage facility is in operation daily 6:30 a.m. to 5:30 p.m. Visitors may use the same bag storage for visits to all Pearl Harbor Historic Sites. We highly recommend that you do not bring bags. Is there a Pearl Harbor dress code? There is not an official Pearl Harbor dress code, but rangers reserve the right to ask visitors to leave if they are dressed inappropriately. Bathing Suits and profane t-shirts are inappropriate. Shirts are required and showing excessive skin is inappropriate. Remember that Pearl Harbor is a site of tremendous loss of life in service to our country. Many of the men of the USS Arizona are still in the ship. You don’t need to dress as if you are going to a cemetery, but you should be respectful. Sandals are permissible. Flip flops, or as we refer to them in Hawaii, slippahs, are also acceptable. If you read the Pearl Harbor Security Policies, you are aware that you cannot take bags or purses. Instead, clever visitors wear clothing like cargo shorts with pockets to hold their belongings. While this policy could be changed, it is currently allowed. We also suggest you bring a jacket. Often people imagine that Hawaii has only one temperature, but it can get chilly and can rain. You do not want to miss out on the outdoor exhibits if it is raining. A rain jacket will make your trip more comfortable. Also if you find the theaters cold you may put on your jacket. Military visitors to the National Monument are within the boundary of Joint Base Pearl Harbor-Hickam, and military regulations relating to military dress are enforced by Navy personnel. Per the Pacific Commander, military visitors in uniform are required to dress in Class “B” or better in order to gain access to the shuttle boats to the USS Arizona Memorial. Battle dress uniform is not allowed on the USS Arizona Memorial, though it is allowed throughout the visitor center and at sites on Ford Island. Military visitors are welcome to wear civilian clothes when they visit. How do I get Pearl Harbor Tickets? What most people mean by Pearl Harbor tickets is the 75 minute National Park program that includes a 23 minute historical film and a round trip boat ride to board the Arizona Memorial. To clarify, those are Arizona Memorial tickets. Pearl Harbor has many tickets in addition to the Arizona Memorial including tickets for the Battleship Missouri, the Pacific Aviation Museum, the USS Bowfin Submarine Museum. How do I get all of these Pearl Harbor Tickets? Tickets to each site are included on Pearl Harbor Tours that include those sites. For example, if you purchase the Remember Pearl Harbor Tour it visits both the Arizona Memorial and the USS Missouri. Tickets/admission to both sites are included with the tour. If you just want to get Arizona Memorial tickets, you can buy a Pearl Harbor & City Tour, which includes round trip transportation from Waikiki and the Arizona Memorial Tickets. The City Tour portion is on the way back from Pearl Harbor. If you have your own transportation and do not want to go on a tour, you reserve your tickets in advance at the Pearl Harbor Visitors Bureau. They offer the Passport to Pearl Harbor, which includes admissions and audio tours to all of the sites at Pearl Harbor (except the Arizona Memorial movie/boat tour). It is recommended that you arrive by 6am in order to improve your chances of getting Arizona Memorial movie/boat tour tickets. All members of your party must be present to obtain tickets. You can also try to arrange tickets in advance on recreation.gov. Arizona Memorial tickets are included with all of our Pearl Harbor Tours. There is a special system for authorized tour companies to reserve your tickets in advance so you do not have to wait in line at Pearl Harbor. Some guests prefer to visit Pearl Harbor on their own. They arrive before 6am to ensure that they have a chance to get some of the limited tickets that are reserved for those without advanced reservations. Individuals may also reserve tickets in advance on recreation.gov. Keep in mind this does not include a guide or transportation. You may have heard rumors about waiting in line for hours in the sun or rain. This was true before the reservation system was implemented. Every day hundreds of people would line up and wait until Pearl Harbor opened its doors and handed each person a ticket one at a time. Often, visitors who showed up at 7:15am would find out that all of the tickets for the day were gone. Fortunately, that is no longer necessary thanks to Arizona Memorial tickets reservations. It does still happen though that someone may arrive in the busy summer season at 7:15am and find out that the walk-up Arizona Memorial Tickets have all been handed out. For that reason we strongly suggest making a tour reservation in advance and ensuring that you get your Arizona Memorial tickets and can enjoy the entire Pearl Harbor Experience. What do I do if there are no tickets to Arizona Memorial? So you arrived at Pearl Harbor ready to experience one of the most important days in our nation’s history only to find out that it is super crowded and there are no tickets to Arizona Memorial left. If it makes you feel any better, you are not the first person to go through this. It is quite common. The number of tickets to Arizona Memorial are limited. It involves a movie about the attack in a theater with limited seats and a boat ride to the Memorial itself that has only 150 seats. Then the amount of space on the memorial is limited. There is just not enough room for all the people who want to visit. I’m sorry to start with the I told you so, but by booking a tour in advance, you can ensure that this problem won’t happen to you. So if you aren’t yet on Oahu, be sure to book a tour. Even if you will be there tomorrow. More likely you are reading this and you have arrived at Pearl Harbor and walked up to the ticket booth. The ranger told you that they have already given out the tickets to Arizona Memorial for the day. Now What? These are your options in the order that I see fit. Ask the ranger if you can join a program if there are no-shows. Sometimes visitors arrive at Pearl Harbor hours before their program and leave early. For example, they show up at 08:00 and pick up their tickets for a program at 10:30. After looking at the exhibits for an hour, they decide that they don’t want to wait and they leave. You might be lucky enough to get their tickets. To do so you need to ask a ranger specifically if there have been any tickets returned. Tell them that you will check back in 20 minutes. Then walk around. Ask a tour guide if you can join his tour. Don’t ask if you can buy a ticket. That is against the rules. But they can add you to their tour if they had a no-show. They also might be in contact with other tour guides who have extra tickets. Most guides return their tickets to the ticket booth if they don’t need them, but it is worth a try. If the first two don’t work, consider coming back the following day on a Pearl Harbor Tour. If that’s not possible, continue with the options below. Visit the exhibits. You don’t need tickets to go inside the museums and to walk the grounds. The exhibits are excellent and satisfy the needs of many non-history-buffs. You can spend over an hour enjoying the exhibits. You are at Pearl Harbor, just not at the Arizona memorial. Tour the other sites at Pearl Harbor. I’ve never seen the Bowfin Submarine, Battleship Missouri, or Pacific Aviation Museum sold out. You have an awesome view of the Arizona Memorial from the bow of the Battleship Missouri. Again, we preach prevention. Book at pearl harbor tour to ensure you don’t run into the problem that there are no tickets to Arizona Memorial. If it’s too late, we wish you luck. Why are the Pearl Harbor Memorials so busy? There are a number of reasons for the increasing number of visitors and for the growing Pearl Harbor popularity. We’ve been working with Pearl Harbor visitors since the 1990s. At the time there was only the bowfin submarine and the Arizona Memorial. Now there are more sites and the Pearl Harbor memorials are getting more and more popular. The Battleship Missouri moved to Pearl Harbor in 1998 and became one of the Pearl Harbor Memorials in 1999. It helped to close the war because it was the site of the Japanese surrender. The movie Pearl Harbor brought a big increase in visitors. It was a big blockbuster movie and made Pearl Harbor history more common knowledge. Movies filming locations are a huge draw for tourists in any destination. September 11, 2001 increased patriotism and increased Pearl Harbor visitors. The Pacific Aviation Museum helped to round out the Pearl Harbor experience for visitors. The stories that the guides tell at the aviation museum are fascinating and have drawn more visitors. Hawaii is a beautiful place with a lot to see and the Pearl Harbor memorials are the number one site in the state for visitors. That does not mean that you have to fight the crowds. Tours are designed to avoid the hassle that you have going at it alone. See our Pearl Harbor tours to make the most of your visit to the Pearl Harbor memorials. How much is the USS Arizona Memorial Admission? This might be hard to believe, but the USS Arizona Memorial Admission is Free. The reason that it is free is that the Arizona is a cemetery. The men who died on the Arizona are still there. It may sound too good to be true. And as they say it usually is. One must be very lucky to get free tickets. There is a limited number of free tickets available each day. Most tickets are reserved in advance. Tour companies can reserve tickets in advance allowing them to sell tours and guarantee that you will have an Arizona memorial Admission ticket. When reserving in advance, tour companies pay a reservation fee. That fee is included in the tour price. For most people, it is worth the cost of the tour to have transportation, guide narration, and guaranteed tickets. Most people only visit once and trying to save money on Arizona Memorial Admission only to have a 4 hour wait is not the way real travelers want to spend their vacation. What Historical Sites Can You Visit at Pearl Harbor? The historic sites at Pearl Harbor keep getting better. First it was only the Arizona Memorial. Then the USS Bowfin Submarine Museum was built. Shortly after the Clarey Bridge to Ford Island was completed, the USS Missouri came to Pearl Harbor and is docked at Ford Island. The newest museum is the Pacific Aviation Museum. The Oklahoma memorial is the newest memorial at Pearl Harbor. All of the historic sites at Pearl Harbor have new exhibits that will keep you busy during your day at Pearl Harbor. If you are looking for a tour that visits the historic sites of Pearl Harbor, then we recommend the Pearl Harbor memorials tour. It visits all of the sites and admission is included along with transportation and a tour guide. The short answer is yes. Usually, you are able to drive yourself to Pearl Harbor. Pearl Harbor has a parking lot where you can park a private car. There are a few things to note before making this decision. Tour companies are NOT allowed to meet guests at Pearl Harbor. Tours to Pearl Harbor include both transportation and a professional narration. The guide will help you to make the most of your experience at Pearl harbor. Tours include Arizona Memorial tickets. Often those who drive themselves arrive at Pearl Harbor and wait in line to receive a ticket that for 3 hours later, or worse, tickets are sold out. Parking at Pearl Harbor is limited and may not be available when you arrive. If you are interested in visiting the Battleship Missouri Memorial, the Oklahoma Memorial or the Pacific Aviation Museum, you should take a tour. Only authorized drivers and vehicles are allowed to drive across the Admiral Clarey Bridge to Ford Island where those sites are located. Unless you have military ID and authorization, you will not be able to drive yourself there. Can I rent a wheelchair at Pearl Harbor? Pearl Harbor is completely accessible for wheelchairs, but wheelchairs are NOT available for rent. When you make a reservation, advise us that you have a wheelchair so we can schedule a vehicle appropriately. If you are able to walk up the three steps of the vehicle or if you will need a wheelchair lift. If you are bringing a collapsible wheelchair and sitting in a seat. How much is baggage storage at Pearl Harbor? Standard: $5.00 flat rate fee per bag of any size. We encourage visitors to not bring bags to Pearl Harbor. There is often a line to put your bag in storage and to retrieve it. You cannot have your bag at any of the Pearl Harbor Historic Sites. Some visitors miss the Arizona Memorial Program because they are waiting in line for baggage storage. Of course, this is disappointing and refunds are not given in such circumstances. Tour buses do not permit guests to leave bags in the vehicle unless the bus is a full day private charter remaining on standby waiting for guests to finish their programs. Should You Book Pearl Harbor Reservations in Advance? We recommend that you absolutely book your Pearl Harbor Reservations before you arrive in Hawaii. Pearl Harbor is the busiest attraction in Hawaii and the tickets are limited. The boat that takes visitors to the Arizona Memorial only has a capacity of 150 people at a time. There are thousands of visitors who want to go to Pearl Harbor every day. Many arrive only to find out that they are too late and should have made Pearl Harbor reservations in advance. Don’t make this mistake. Book Pearl Harbor Tours that include admissions, tickets, guides and transportation to ensure that you do not miss the sites. Even tour companies sell out of tickets in advance because the tickets are limited. Is It Ok To Bring Kids To Pearl Harbor? It is absolutely OK to bring kids to Pearl Harbor. In fact, it is one of the best things that you can do with your kids in Hawaii. Why? Pearl Harbor is a living history lesson. Adults and kids learn more by visiting Pearl Harbor in a couple of hours than they do in a year of history class. We have some tips if you plan to bring kids to Pearl Harbor that will make your experience even better. Watch movies before visiting. Watch the movie Pearl Harbor. Watch Battleship. Watch Tora, Tora, Tora. If you can convince your kids to watch documentaries, even better. By watching movies, the history behind the attack on Pearl Harbor and the events that took place will make more sense. Bring sunscreen and hats. Much of Pearl Harbor is outdoors. You will have moments of direct sunlight. Avoid ruining a vacation with sunburn by protecting your skin. 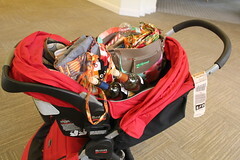 If your kids are young enough that they need to be carried you might find a front carried baby sling preferable to a stroller because you cannot take the stroller with you in the Arizona Memorial program. Read our current Pearl Harbor Security Policies before going. You can avoid wasting money and time. Go with a tour. Tours are the most efficient way to move through Pearl Harbor. With kids it is important to keep things moving and get back for naps or rest as soon as you can. Our Pearl Harbor Tours are designed to make the most of your time and keep everyone busy. We recommend Remember Pearl Harbor – Arizona Memorial and USS Missouri for families travelling with kids. The reason is that this is not a long tour, but it visits the most popular memorials. Be aware of the USS Bowfin age restrictions. Children under 4 are not allowed on or in the submarine. FAQ – Can I bring a stroller to Pearl Harbor? Are there family friendly Pearl Harbor Tours? Everything about Pearl Harbor is family friendly. The deciding factor with families is how long the kids can spend touring. 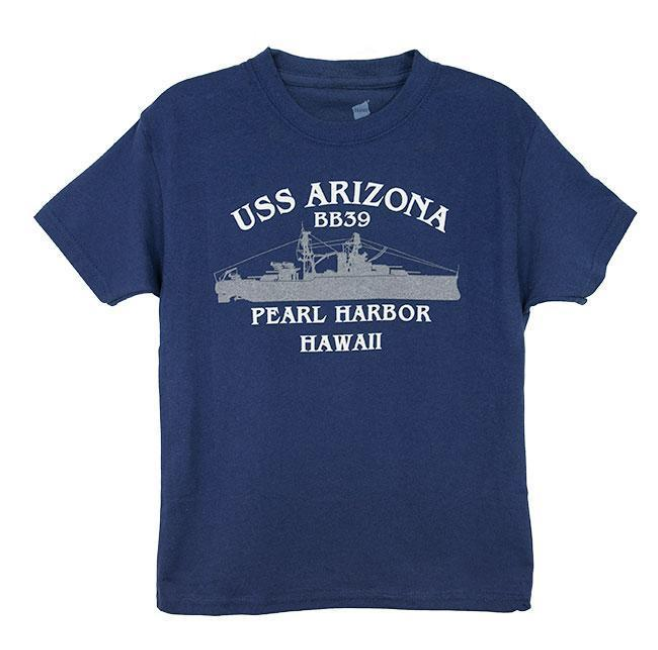 Some families prefer to spend the entire day at Pearl Harbor and relax at the beach on the following day. They take the Pearl Harbor Memorial Tour to make sure they see it all. Others opt to skip some of the sites at Pearl Harbor and focus on the main two the USS Arizona Memorial an the Battleship Missouri on the Remember Pearl Harbor Tour. If you are concerned that your baby won’t be able to handle more than a few hours on a tour then you should choose the Pearl Harbor & Honolulu City Tour, which is the shortest tour. Watch Movies about Pearl Harbor before you travel or even better, bring them on the flight with you. Tora, Tora, Tora and Pearl Harbor are the most popular. From Here to Eternity is also a classic. Read books about Pearl Harbor and WWII history before arrival. It will make your visit more enjoyable. Look for Pearl Harbor Survivors at the visitor center. There are very few left and they are not there every day, but if you are lucky you can meet one. Be prepared to buy some souvenirs. For many, Pearl Harbor is a once in a lifetime visit. Your children will remember it for years to come with the right souvenir. What’s included in tours of Pearl Harbor? Round-trip transportation from Waikiki to Pearl Harbor (Tours from other islands include round-trip transportation from Honolulu International Airport). Live historical narration by an expert guide. Free time at Pearl Harbor to shop in the bookstore, browse the exhibits, get snacks, take photos. Additional services provided by guides: take your photo, answer historical questions, provide suggestions for enjoying your visit. Please note that if you don’t take a tour to Pearl Harbor you must pay for your parking and arrange your own tickets (all members of your party must be present to obtain Pearl Harbor tickets at the Visitors Center. Please see our FAQ about what is not included in tours of Pearl Harbor. Generally guides do not accompany visitors on the USS Arizona Memorial or the shuttle boat to the memorial. It is a place for solemn remembrance of the men who died for their country. The National Park discourages guides from accompanying visitors to the memorial to keep the volume down and allow visitors to pay respect without distraction. Pearl Harbor is open daily from 7am to 5pm. It is closed on Thanksgiving, Christmas Day, and New Years Day. There are no special holiday hours observed at Pearl Harbor. While not as big as the Pearl Harbor Day Ceremony, there are Memorial Day Events at Pearl Harbor. Generally, it begins with a flag raising and bell ringing ceremony. In the past, survivors have been on site, but that may not happen again. There have been flag ceremonies, book signings and Memorial Day events at Pearl Harbor in the past. For a first time visitor to Pearl Harbor it is not a day that we recommend visiting. It is busier because people anticipate special ceremonies. The crowds may cause delays as you walk through exhibits and sites at Pearl Harbor. Can I view the December 7th Ceremony? Yes the general public can visit Pearl Harbor for the December 7th Ceremony. The ceremonies are different every year so you should check back if you plan to go. Many visitors who go to the December 7th Ceremony have expressed regret because they were unable to get tickets to visit the Arizona Memorial. If you have never been to Pearl Harbor, then it might not be the best time to visit. However, if you have been to Pearl Harbor before then it may be interesting to you. Just don’t expect to do the normal program. It is a very busy day at Pearl Harbor. TOURS DO NOT OPERATE on Pearl Harbor Day. The other sites at Pearl Harbor (Battleship Missouri, Pacific Aviation Museum) operate as normal. If you want to see dignitaries, survivors, and politicians, the December 7th ceremony will be good for you. If you would like to visit Pearl Harbor on December 7th, a special Pearl Harbor Day Shuttle is available for $15 from Pearl Harbor Visitors Bureau. What are the Pearl Harbor Hours? The programs at the Arizona memorial are 7:30am to 3:00pm. You may arrive at Pearl Harbor after 3:00pm, but you will not be able to go to the Arizona Memorial. You will be able to see it from the land and visit the exhibits and bookstore. If you arrive before 7:00am (many people do) you can stand in line waiting for the gates to open. It is better to arrange a tour in advance to make the most of your time. Tours work within Pearl Harbor hours to make sure you get the most out of the experience. Keep in mind that Pearl harbor is closed on Thanksgiving Day, December 25, and January 1. It is open all other days of the year unless weather or political conditions cause a closure. If you are uncertain, check with your tour company. Pearl Harbor is on the Hawaiian Island of Oahu. The nearest airport is Honolulu International Airport (HNL). Tours to Pearl Harbor are available from other islands for those staying on Maui, Big Island, and Kauai. 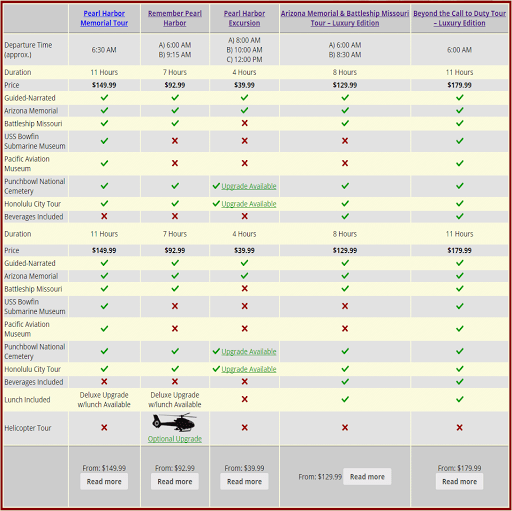 Check out our Pearl Harbor Tour Comparison Chart. Was your answer not there? Ask the Pearl Harbor experts your question below?